More than $1,600 has been presented to the OSMH Foundation on behalf of the “Hot August Nights” car show organizing committee. 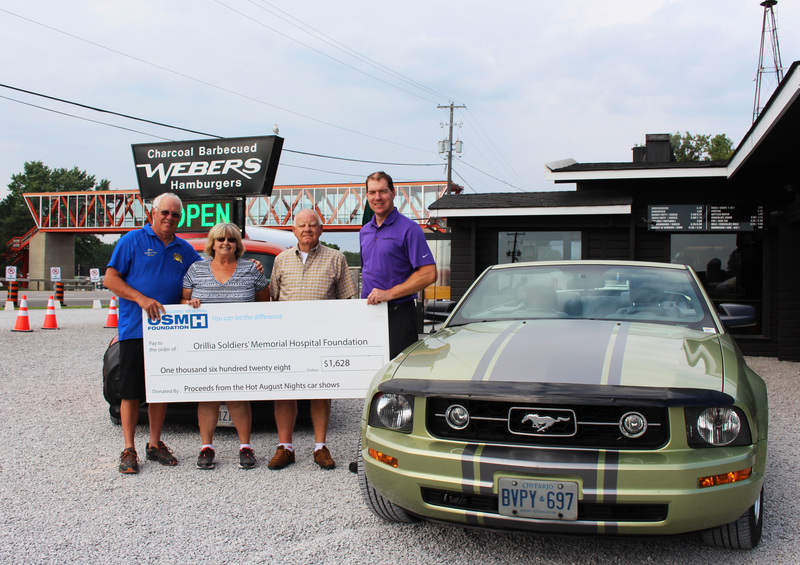 The funds were raised at four different car shows held Tuesday evenings at Webers in August. In total, more than a thousand cars participated in the shows, making it the largest cruise night in northern Ontario. As part of the total, a donation was also made by the Orillia Home Depot car show. Pictured are show organizers Jim & Pauline Pearsall, Barry Bird, and Brian Clarke, Manager, Webers.